During antler growth period when horns haven’t been ossified. Hunting is arranged from the tree stand (on the stem of the tree). 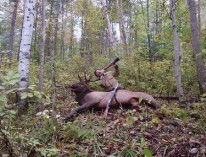 Hunting period: from June, 1 till July, 15. “During the roar” (the roar is the vocal sound the deer make during their rutting period). Hunting is arranged by approaching the deer at dawn and evening glow and attracting it by a decoying device made out of bark or wood. 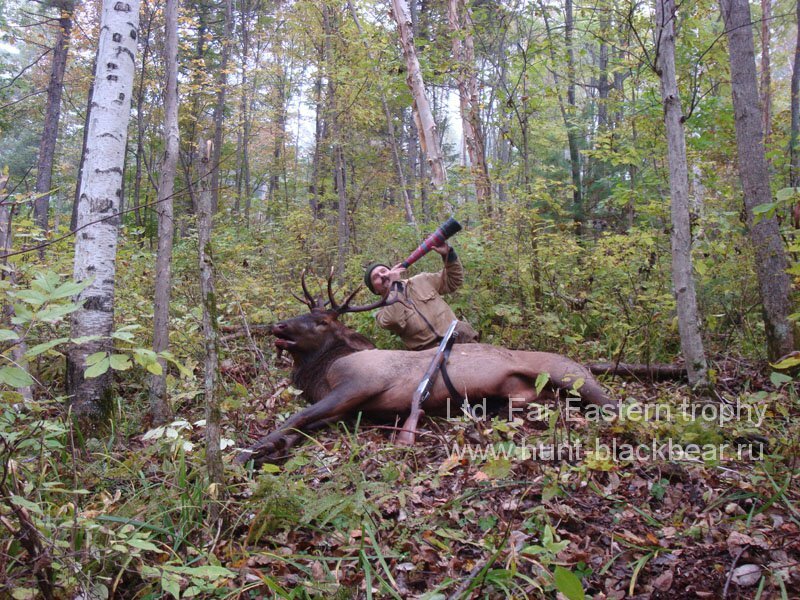 Hunting period: from September, 1 till September, 30.